Navjot Singh Sidhu (Punjabi: , born 20 October 1963) is a former Indian cricketer and was a Member of Parliament from Amritsar (Lok Sabha constituency). 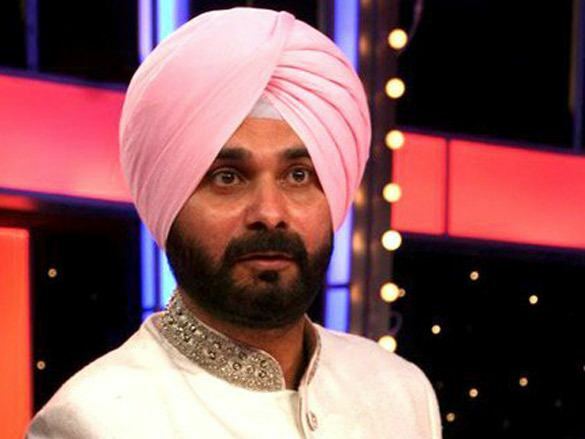 After retirement from cricket Navjot Singh Sidhu took up television commentary, and politics. He was convicted in 2006 of homicide in a 1988 road rage incident, whereupon he resigned from his political position, but after appealing to the Indian Supreme Court, the sentence was suspended, and he won the by-election for his seat. He is currently featuring in a popular comedy show, Comedy Nights with Kapil as a permanent guest. He was born in Jat Sikh family of Sidhu Gotra in Patiala, in the Indian state of Punjab. 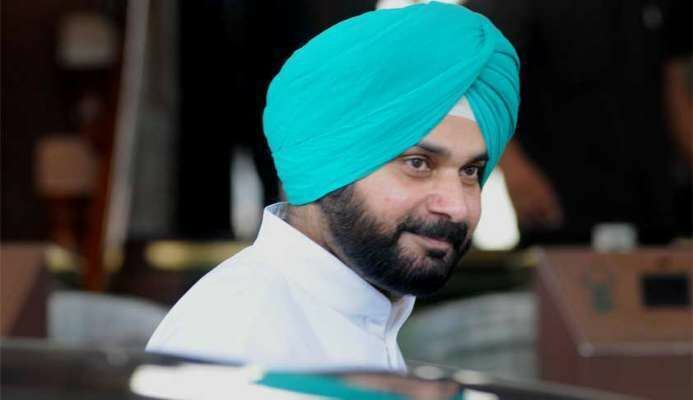 Sidhu was elected to the Lok Sabha as the member from Amritsar in 2004 on a Bharatiya Janata Party ticket; he later resigned, following his conviction. After the Supreme Court stayed his conviction, he successfully contested the Amritsar Lok Sabha seat, defeating his Congress rival, State Finance Minister Surinder Singla, by 77,626 votes. He is also the present president of World Jat Aryan Foundation. He is a vegetarian. He is married to Navjot Kaur Sidhu a doctor and a member of Punjab Legislative Assembly. In fact Sidhu is himself a qualified lawyer from law department of Punjabi University. He has once swore that he would not set foot on Patiala’s soil and would live in Amritsar for as long as he represented the people of the constituency. He didn’t even go back for his father-in-law’s funeral and for the cremation of his friend Judge Vijay Singh, who was murdered in 2005. He visited Patiala after he resigned from his seat on moral grounds. Navjot Singh Sidhu had a volatile career as a cricketer from 1983 to 1999. He made an uneventful international debut against the West Indies at Ahmedabad in 1983 scoring just 19 runs in his debut Test match. He was given another chance in that series but failed again. He was selected for the 1987 Cricket World Cup in India scoring 73 on his One Day International debut in a losing effort against Australia. He scored 50s in four of the 5 World Cup 1987 matches in which he batted, failing in the semifinal against England. His first ODI century came against Pakistan in Sharjah in 1989 while his 134 against England at Gwalior in 1993 was his highest ODI score and the innings which he called his best when he retired in 1999. Sidhu told in an interview that an article criticising his dismal performance changed his cricketing life. After a pathetic performance in 1983, Rajan Bala, a noted cricket columnist, wrote an article on him titled "Sidhu: The Strokeless Wonder" in Indian Express. It was an epiphany that changed his life and he started taking his cricketing career seriously. After his wonderful performance in 1987 world cup, the same columnist wrote an article titled "Sidhu: From Strokeless Wonder To A Palm-Grove Hitter", applauding his performance. He scored over 500 Test runs in a year thrice (1993, 1994 and 1997). His only Test double century came during Indias 1997 tour of West Indies. In 1994, he scored 884 ODI runs. Sidhu was the first Indian batsman to score more than 5 centuries in one day international. Sidhus finest moment in Tests was his 201 against West Indies in 1996–97, a defiant knock lasting 11 hours. Known for his tendency to attack spinners, he cracked eight sixes in 124 against Sri Lanka in 1993–94, and four fifties in five innings against the Australians in 1997–98, deliberately singling out Shane Warne. Sidhu started his career as a commentator for takeshis castle sport when India toured Sri Lanka in 2001. He however later became a commentator with []. As a commentator, Sidhu was noted for his one-liners, which came to be known as "Sidhuisms". After he was sacked from ESPN-Star for swearing on air, he worked for Ten Sports. He also regularly appears as a "cricket analyst" on various Indian news channels and is noted for being possibly the most loved & famed figure in international commentary today. He started to work again for ESPN Star Sports in 2012. Nowadays he is a Hindi commentator.